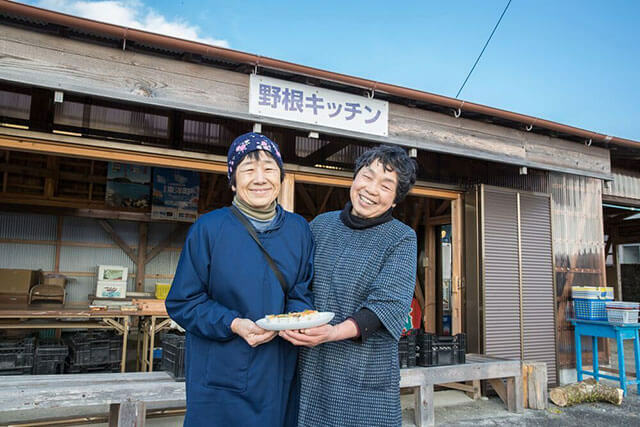 Thanks to its reputation as one of the most visitable cosy corners of Nagano Prefecture, Karuizawa is bursting with eating establishments to keep its visitors happy. 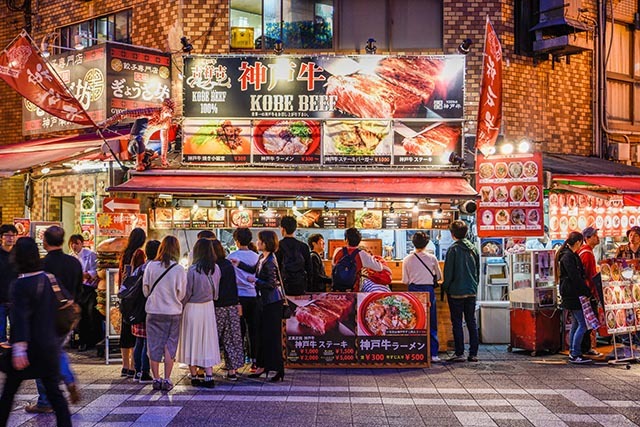 From the good old traditional to upmarket and avant-garde eateries, there’s no shortage of fine food along the little streets of Karuizawa. Let’s kick off with a restaurant whose focus is on a flavour the Japanese love: vinegar. 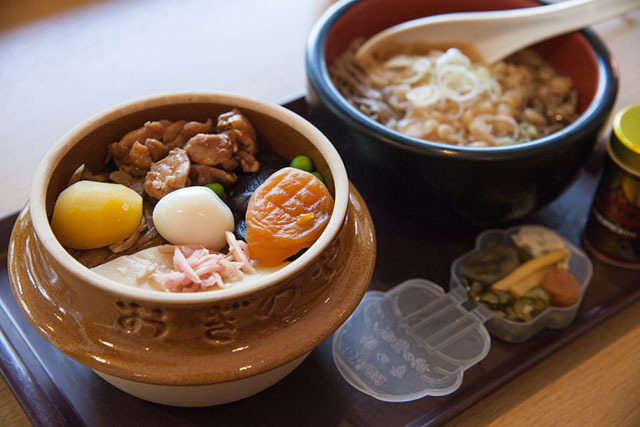 With 200 years of history, Suju Masayuki was originally a specialist miso shop but now serves up a diverse spread of dishes which use a vinegar base to cook up all sorts of Japanese favourites. As well as healthy vegetable dishes, warming miso soup and fresh crunchy salads, the vinegar-enhanced rice is one of the restaurant’s specialities thanks to the copper pot it is steamed in which results in a unique taste and fluffy texture. Found right in the middle of Kyu-Karuizawa, this is an easy spot to enjoy a sit down meal any time between 11am and 10pm. Right next door is the ever popular Kawakami An which, despite sporting a very different style, is run by the same owners as Suju Masayuki. Specialising in freshly made soba noodles, this modern restaurant serves up wholesome zaru noodles on bamboo trays as well as succulent meat dishes and crispy tempura. Pull up a seat either inside or outside any time between 11am and 10pm. If you’re a fan of the owner's’ impeccable taste, both in style and cuisine, don’t miss Sawamura Bakery across the street for a delicious selection of baked goods. If you’re the type of traveler that likes to dodge the tourist traps, make a beeline for Kitchen Papa Steak. Tucked away in Naka Karuizawa, a central but residential part of the town, this lively izakaya is one for the locals thanks to its hidden location away from the more popular streets. Papa Steak serves up various dishes both Japanese and Western but, as the name suggests, the tender steak is what keeps the customers coming back. With Papa-san and Mama-san at the helm, whether you speak Japanese or not you’ll be made to feel at home thanks to their welcoming smiles and the friendly clientele. While tofu has made its way across the seas to many other countries, there are still few that know how to cook up a good tofu dish like the Japanese. Karuizawa’s Shousui un Tofu restaurant offers minimalist style all the way from its exterior to the delicious tofu themed food found on the menu. Ideal for the health conscious, this low fat but highly nutritious ingredient is presented in soups, raw, or fried up in unique flavours and jazzed up with colourful side dishes. Whether you’re looking for a cheeky westernised breakfast or a pick-me-up following an afternoon of shopping, head over to Boulangerie Asanoya on Ginza Dori in Kyu-Karuizawa. With a huge range of European sweet pastries and Japanese influenced savoury snacks, this is a good insight into the popular Japanese bakeries that have popped up all over the country in the last couple of decades.